« Aqua (aquamarine) glass gems – on sale! You see what I mean? These are pretty wonderful. Minimalist jewels, lovely for bridal and wedding jewelry without stealing the show – and of course for everyday, they go with everything. And for the next few days – from January 26, 2019 through midnight January 30, 2019 – when you buy any two pairs of clear glass jewels, you get your third pair free (yes, equal or lesser value – you know the drill!) 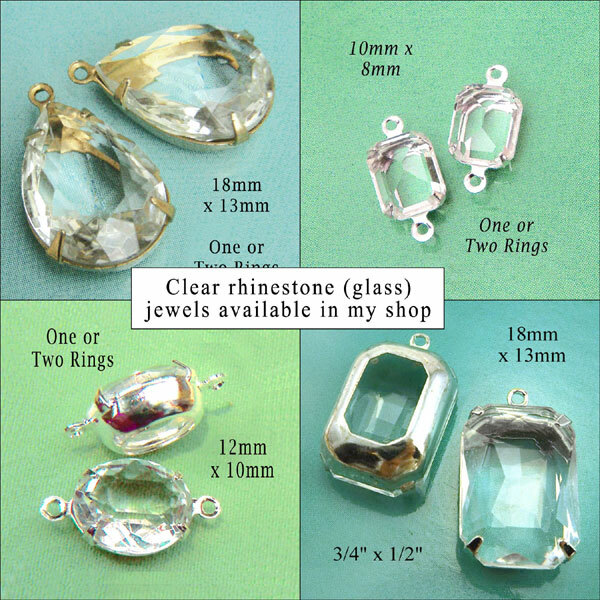 Order any two clear pairs (or pendants) – and then send me a note to tell me the ones you want for free. Don’t wait too long, this is limited to the next few days, and available stock. Hey, buy two, get one free – that’s a pretty great deal!